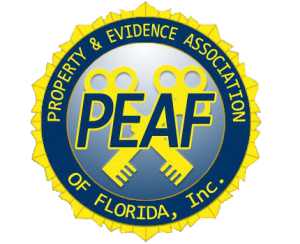 Interested in applying for a grant from P.E.A.F.? As budgets have tightened and those much needed funds cut, we know the demands that this has placed on you and your Organization. With our grant program, you have an opportunity to assist your Property Evidence, Crime Scene, or Lab personnel with that much needed equipment. And we would like to help and be a part of that process. It is the policy of PEAF to allow agencies to submit an application that shall be reviewed by the Executive Board of PEAF. The Executive Board will determine if the submitting agency meets established criteria, that will allow the agency to receive funds that must be disbursed to purchase pre determined equipment, supplies, or the necessities for a working property room.